As you may not be aware, Prodos Games have owned the rights to Space Crusade for some time, but in reality those rights are in name only. All those Space Marines, Genestealers, Orks and the Chaos Dreadnaught are very much property of Games Workshop and their Warhammer 40,000 universe so Prodos can’t use those. Odds are that Prodos would set the new Space Crusade in their Warzone Resurrection universe, but with a remake of Siege of the Citadel from Modiphious just around the corner the two would interfere. 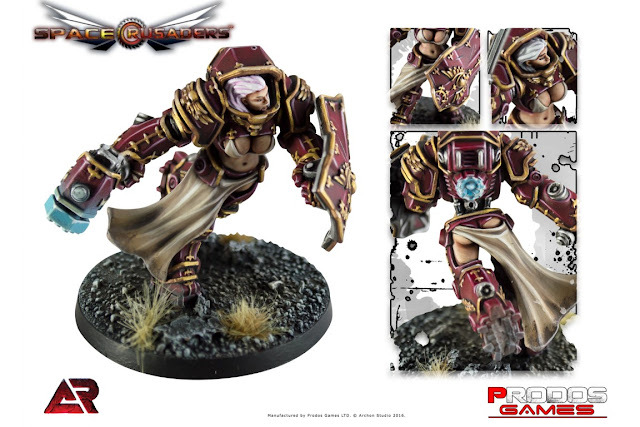 So it looks like Prodos Games have created a completely new intellectual property for their new Space Crusaders range. And that’s where things get a little controversial. There’s a design ethic at play here and that appears to be “space marine strippers”. While it is true that the new Space Crusade marines, or Space Crusaders as they are now being named, are armed to the teeth and adorned with power armour, that power armour doesn’t seem to offer much protection for the chest area. Power armour is a bit of a misnomer, more like power bras. Whether you find that kind of thing offensive or just a bit of fun is up to you but it has already caused a bit of a stir around social media. Based on the images provided, it’s unclear if there have been any changes to the gameplay as miniatures have so far been front and centre. However looking at the list of components, they certainly marry up with the classic Space Crusade. 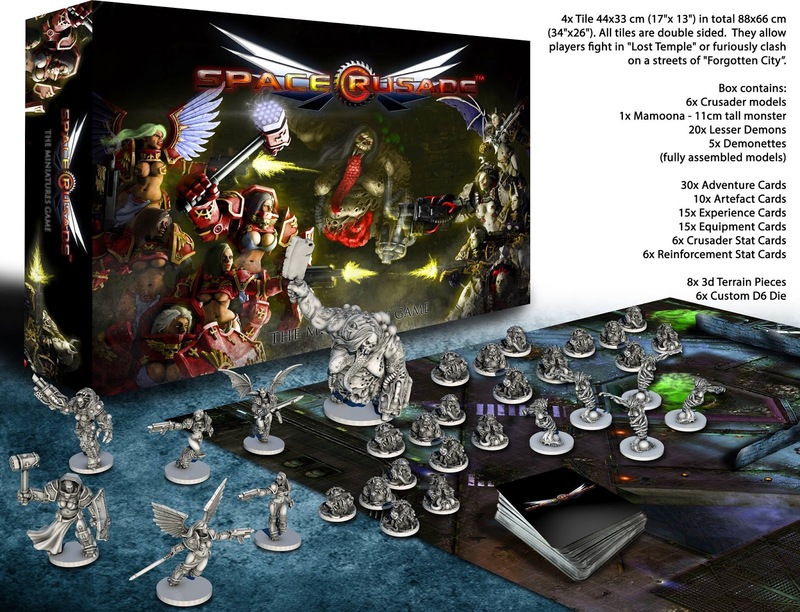 What is great about this new Space Crusade release is that the game will not be funded via Kickstarter, in fact its already available for pre-order from Prodos Games Webstore and will be available to buy by the end of February.